You can get today's date or current date and time in Java by creating a new Date() object. A java.uti.Date object represents the current date and time instance in Java. Now, if you want to date in DDMMYYYY format or any other date format, you can easily convert the Date object to String by using SimpleDateFormat class. Since Date instance contains both date and time, if you only need a date then you can further convert the java.util.Date to java.sql.Date. Similarly, if you need just time then you can convert the java.util.Date to java.sql.Time, they represent the date and time part of java.util.Date object in Java. You can also use the java.util.Calendar class to get the today's date and time. Further, if you are using Java 8 then you can use new Date and Time API classes like LocalDate, LocalTime, and LocalDateTime to get the current date, time, and date-time in Java. Java always had issues with Date, Time, and Timezone. There initial two attempts in terms of old date and time API from JDK 1 and Calendar API from JDK 1.4 was plagued with thread-safety and usability issues. Thankfully, they have got it right third time with new Date and Time API of Java 8. I strongly suggest every Java developer learn Java 8, particularly new Date and Time API. Don't just get busy with lambdas and stream. 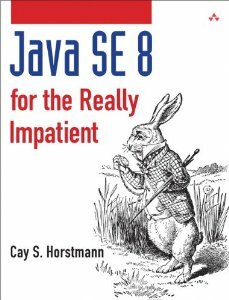 Unfortunately, not all Java 8 books cover this important topic so makes sure you read Java SE 8 for Impatient by Cay S. Horstmann to learn this important development. Here is our sample Java program to print the current date and time in Java. In this program, I have demonstrated that java.util.Date instance represents both date and time, and if you want to extract date part, you can simply convert the util date to java.sql.Date in Java. Similarly, you can extract the time part from the java.util.Date you can convert it to java.sql.Time class. An interesting thing to know is that both java.sql.Date and java.sql.Time are subclasses of java.util.Date, but they don't follow Liskov Substitution principle. You cannot pass java.sql.Date or java.sql.time, where a java.util.date instance is needed. Since Date is nothing but number of millisecond from epoch (1st January 1970, midnight GMT), it doesn't hold timezone information, but when you print date, it's toString() method is called which is overridden to print the date in the local timezone. You can convert Date to String by using SimpleDateFormat as well e.g. a date in DDMMYYY format. Be careful while using SimpleDateFormat, it is not thread-safe and should not be shared among multiple threads. The java.util.Date instance doesn't maintain timezone, but when you print the date object, it's toString() print the date in your local timezone. Prefer new Date and Time API from Java 8 if you are lucky to be running in JDK 8. That's all about how to get the current date and time in Java. You can also use the java.util.Calendar class to get the current date and time in Java as well. For further reading on date and time, you can read Core Java for Impatient, one of the best books to learn core Java.